ICT Authority’s Connected East Africa has attracted participants from around the region including South Sudan, Somalia, Rwanda, Burundi and Uganda. The summit will be held between 30th of March and the 2nd of April at the Leisure Lodge Golf and Resort in Kwale. The event which has been running for the last 7 years was previously known as the Connected Kenya Summit. The Summit provides a platform for players in the field of ICT ranging from government, academia and private sector to exchange ideas on how to catalyze service delivery using ICT. During the 2014 summit held themed ‘Breaking the barriers’, Kenya was fronted by East African ICT Ministers to hold the inaugural conference. This year’s event is themed the strength is in our networks, the summit appreciates and recognizes the achievements of increased integration of the East African region. The conference will hold discussions on how to leverage ICT for the full realization of the Customs Union (2005) and Common Market (2010) protocols by its’ regional citizens. ICT is seen as a huge driver of both the local and regional economies. ICT has increased efficiency, transparency and cost cutting across board hence the need to ensure the regions 150 million residents enjoy the full benefits. ICT Authority CEO Victor Kyalo said, “Integration will be an answer to the region growing economies that get caught up between investing in basic amenities for the citizens or to marshal funds for ICT infrastructure. Often, because of pressing needs for limited resources, ICT is pushed to the back banner”. The Connected East Africa Summit objectives is to answer the theme through addressing the gaps in integration and shared infrastructure and working towards the harmonization ICT regulation in the region. The Summit also seeks to create a platform for meaningful networking towards economic development of the East African region besides building support for ongoing ICT projects. Connected Kenya has been synonymous with various government projects including the launch of Huduma Centres and the Kenyan Open data intiative as well as the formulation of key ICT policies. The bloc has also seen key projects take place as a result of the collaborative efforts and these include East Africa Broadband ICT infrastructure network, LAPPSET and EAC medicine registration harmonization project. Member states are working towards the creation of an EAC legal framework for cyber laws and ICT policy. 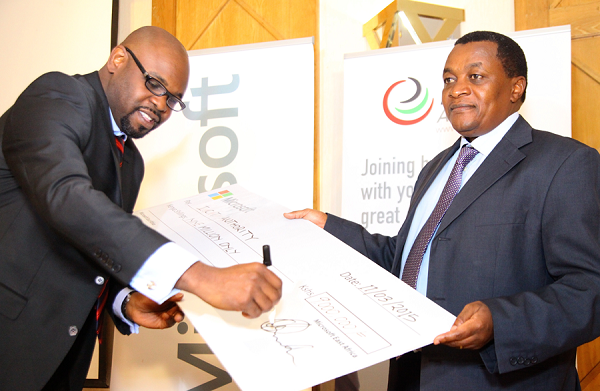 Represented during the launch were title sponsors Microsoft alongside others like Liquid Telkom, Huawei, Saecom, Dimension Data, HP and Konza City.